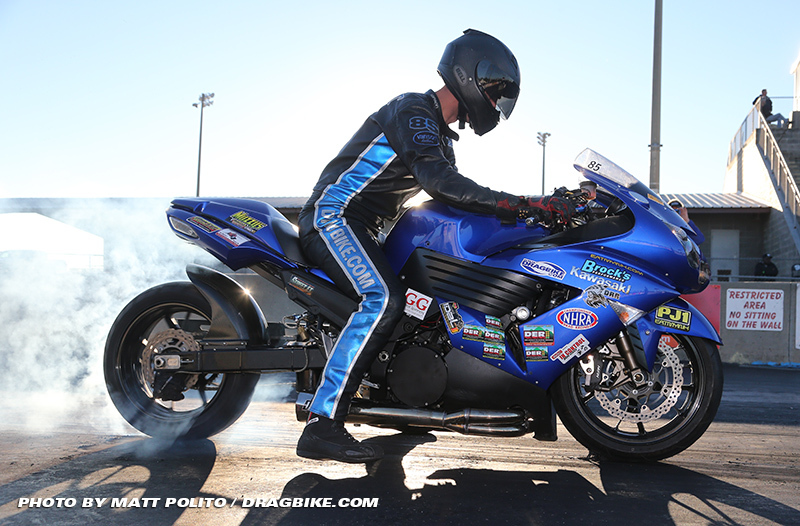 The NHDRO Season Opener has just completed after a shortened race weekend. 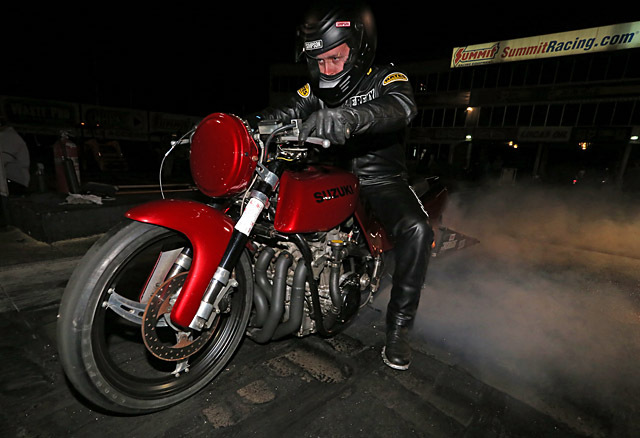 The NHDRO racers were looking forward to the new location of Atlanta Dragway for 2018. However, a forecast full or rain kept many racers home, leaving the classes thin and in jeopardy of not qualifying for BAMF points. Luckily for our BAMF racers, enough people turned out, and four of the seven classes qualified for points. Unfortunately for winners John Markham, Mike Thyen and Jeremy England, their wins would not gain them more points. These three classes also left runner-up Dustin Lee, two points short of being able to claim the BAMF lead after his first event of the year. Despite the low turn out, the quality of racers that did show up was the best of the best. 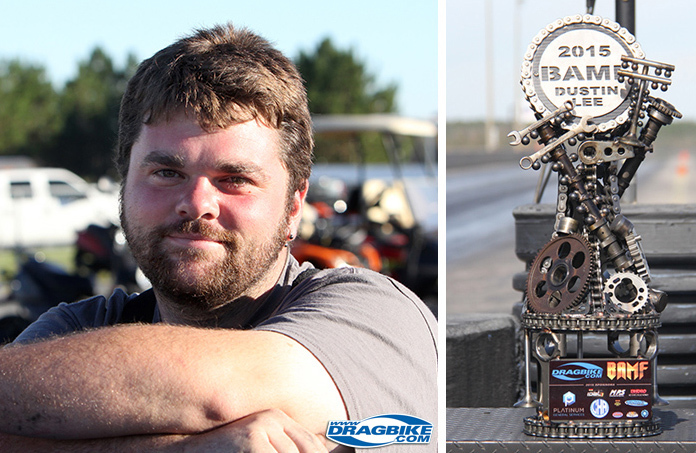 2015-2017 Dragbike.com BAMF Dustin Lee entered five classes, made it down to four finals, and took one win in the Crazy 8’s class, awarding him with 3 points for his first event putting him into second place. Stephen Knight took a win and a runner-up in Street ET and Crazy 8’s. “I felt pretty rusty when qualifying started, but after making a few passes I started to find my grove,” said Knight. “I am pretty excited to have made it to two finals at my first event of the year.” Stephen’s three points now leave him tied for second with title holder, Dustin Lee. Another hard to beat racer, Jeremy England from the NHDRO home base of Ohio, took two wins in Top Gas and Street Fighter. England is now holding the fourth spot in points. We are sure to see more points accumulated from England this year. With two events completed, Ricardo Marte still holds the reigns! 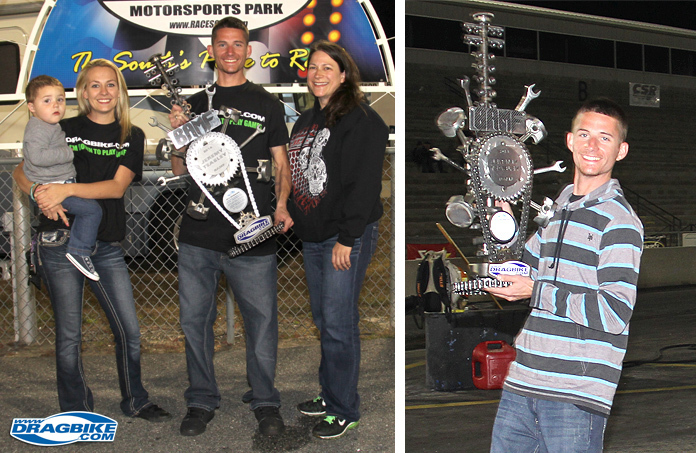 This weekend PMRA and the newly added I-65 South series will take their turn earning points.